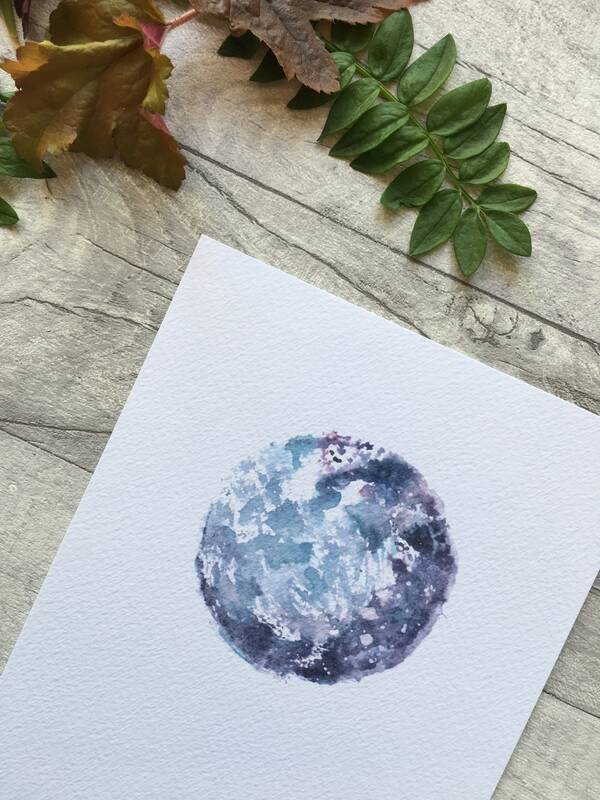 This awesome full moon is a numbered print of an original watercolour painting. 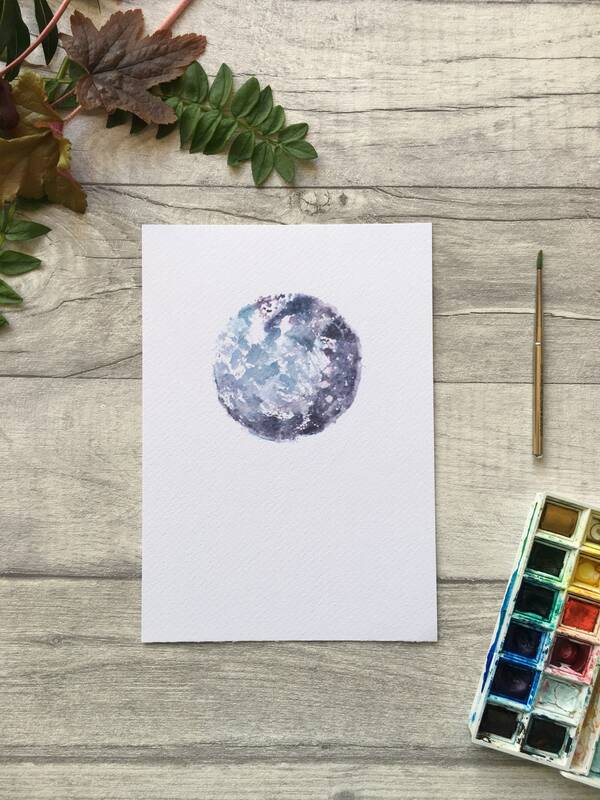 The moon was created using a hand cut stamp and watercolour paint. 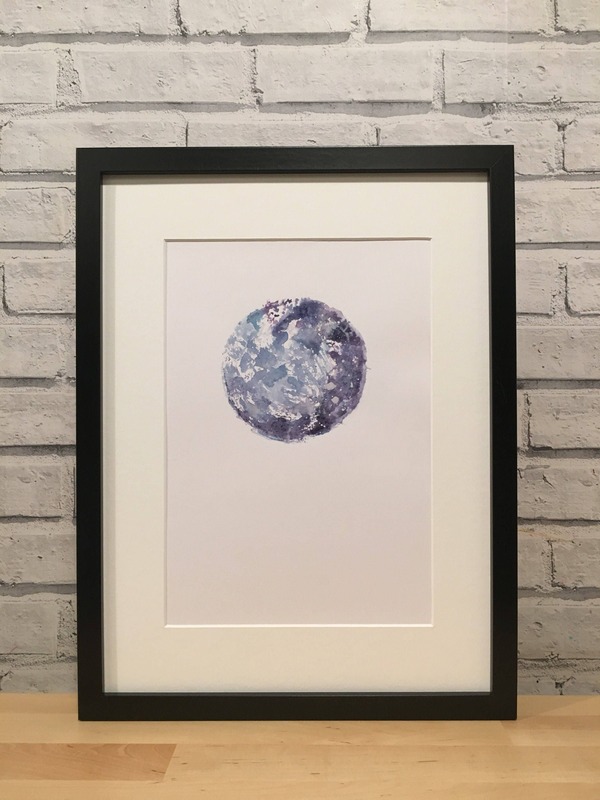 Each painting comes packaged between two bits of greyboard, sealed in a cellophane packet. 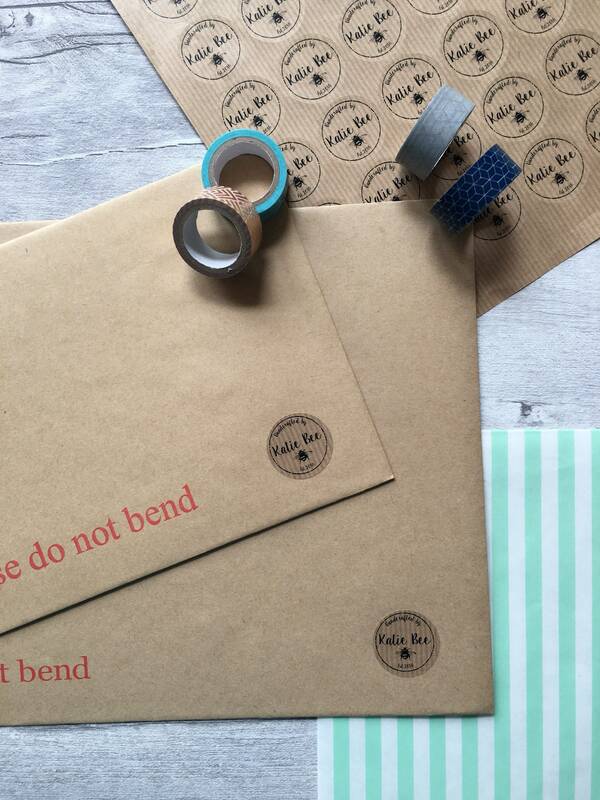 It then travels in a board back envelope to keep it safe on its way to you. 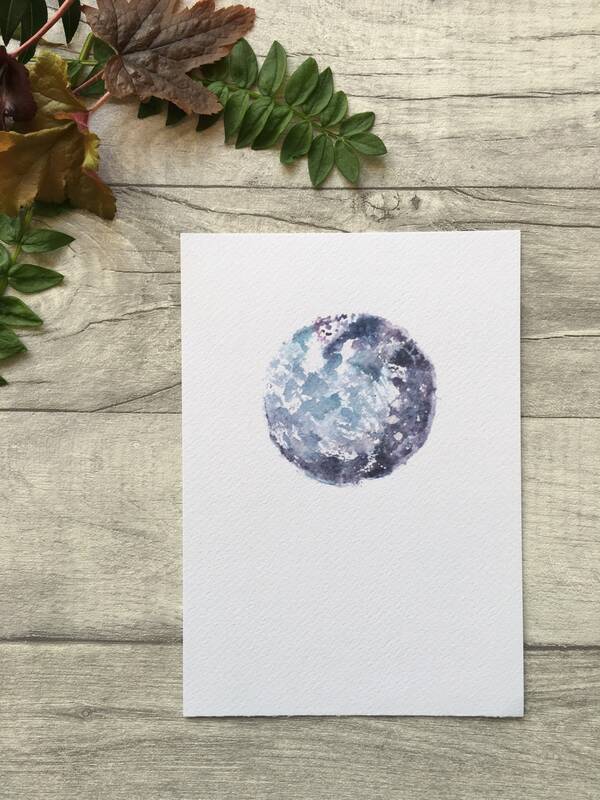 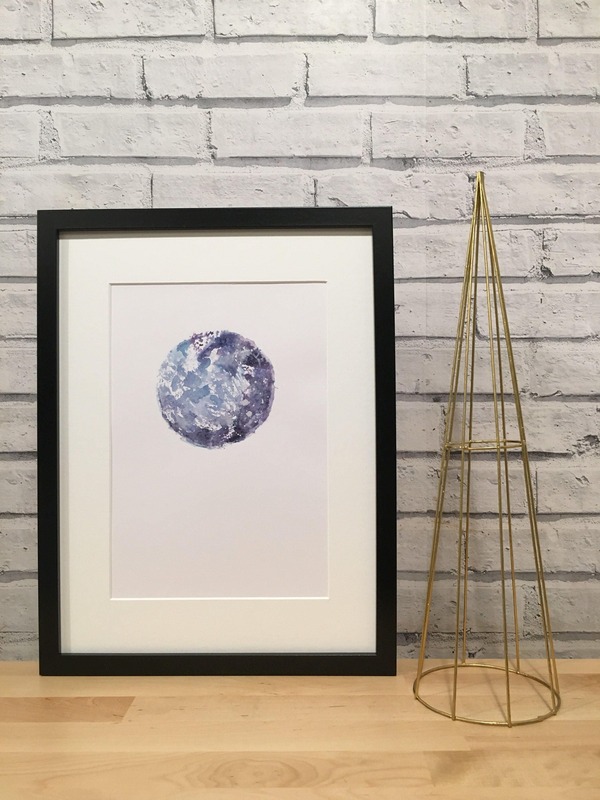 Brighten up your walls or send a little one to sleep with this beautiful, full moon print.